Freakonomics Radio ferrets out connections between seemingly unrelated things. The program explores the riddles of everyday life and the weird wrinkles of human nature—from cheating and crime to parenting and sports—using the tools of economics to explore real-world behavior. Host Stephen J. Dubner discovers the hidden side of everything in interviews with Nobel laureates and provocateurs, social scientists and entrepreneurs — and with his “Freakonomics” co-author Steve Levitt. Episodes feature from the Freakonomics Radio podcast and radio specials— delivering the strongest content to the radio platform in the form of a weekly show. 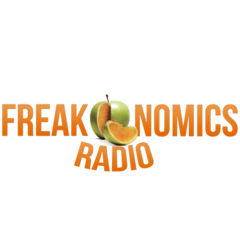 Visit us here for Freakonomics Radio digital assets. “Freakonomics Radio” is available for licensing to public radio stations on PRX.org.